Hull passenger and car ferry ticket prices, timetables, ticket reservations and information for ferries sailing from Hull to Rotterdam Europoort and Zeebrugge. Compare all available Hull ferry ticket prices in real time and book the cheapest available Hull car and passenger ferry tickets sailing to and from Hull, Rotterdam Europoort and Zeebrugge with P&O Ferry Lines ferries online with instant confirmation. Book Hull Ferry Tickets with P&O Ferry Lines for ferries sailing from Hull to Rotterdam Europoort and Zeebrugge online in advance to enjoy the cheapest available ferry ticket price. The price you see is the price you pay. There are no hidden extras or surprises such as added fuel surcharges or booking fees and we do not charge you anything extra for paying with a Visa Electron card. The price we quote you for your selected Hull passenger or car ferry ticket, onboard accommodation and vehicle type is all you will pay, and that's a promise. To obtain a Hull ferry ticket price and book your ferry ticket securely online please use the real time ferry booking form on the left. You are also able to add a hotel at your destination, or anywhere else, to your ferry ticket when completing your ferry ticket reservation. Kingston upon Hull, frequently referred to as Hull, is a city and unitary authority area in the ceremonial county of the East Riding of Yorkshire, England. The town of Hull was founded late in the 12th century and it stands on the River Hull at its junction with the Humber estuary, 25 miles (40 km) inland from the North Sea. The exact year Hull was founded is not known but it was first mentioned in 1193. It was called Wyke on Hull. Renamed Kings town upon Hull by King Edward I in 1299, the town and city of Hull has served as market town, military supply port, a trading hub, fishing and whaling centre, and industrial metropolis. After suffering heavy damage during the Second World War Hull weathered a period of post-industrial decline, during which the city gained unfavourable results on measures of social deprivation, education and policing. During the early 21st century spending boom the city saw large amounts of new retail, commercial, housing and public service construction spending. Best Price Guarantee - We always offer you our lowest available P&O Ferry Lines passenger and car ferries ticket price to and from Hull. There are no hidden extras or surprises such as added fuel surcharges or booking fees and we also we do not charge you anything extra for paying with a Visa Electron card. The price we quote for your selected Hull ferry ticket, onboard accommodation and vehicle type is all you will pay, and that's a promise! In the unlikely event you find the same all inclusive Hull ferry ticket cheaper in the brochure of any other tour operator we promise that we will do our best to beat that price or offer you the choice of requesting a refund. 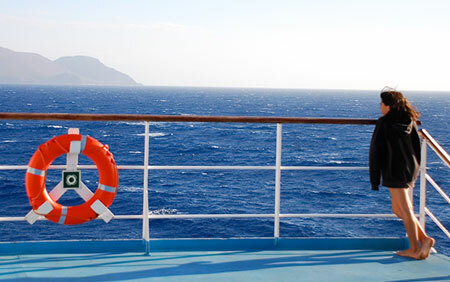 To book Hull car and passenger ferry tickets please click here. At ferryto.co.uk you are able to obtain live Hull ferry ticket prices, check availability and book car and passenger ferry tickets to and from Hull at our lowest available ticket price. Ferryto.co.uk is part of the world's largest online ferry ticket distribution network providing the ability to book over 80 major European ferry operators including to Hull and to over 1,200 other ferry routes throughout the UK, France, Spain, Ireland, Holland, Eastern Europe, the Mediterranean, the Baltic and North Africa.